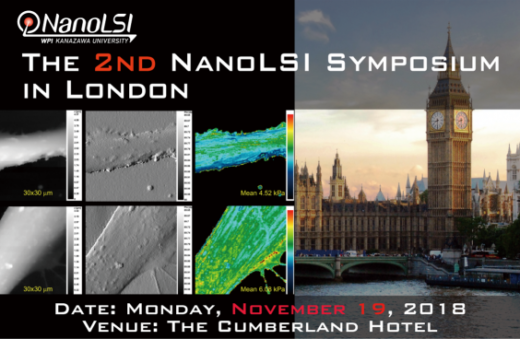 On November 19th, Nano Life Science Institute (NanoLSI) held the 2nd International Symposium at the Cumberland Hotel in London and 53 people including researchers from the United Kingdom and other countries participated. 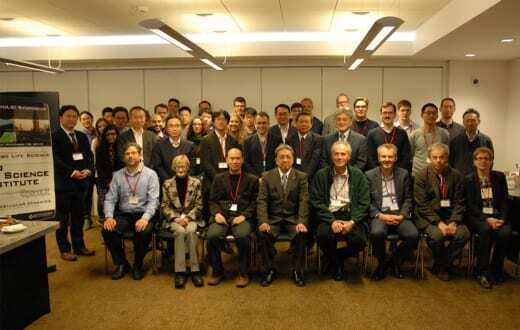 This was held as the first overseas symposium among centers of World Premier International Research Center Initiative (WPI) with the aims of strengthening cooperation between NanoLSI and Imperial College London and of establishing a new cooperative relationship with world-leading researchers in the UK and Europe. The symposium officially began with opening remarks by Prof. Yoshihiro Fukumori, Vice President of Kanazawa University and Deputy Administrative Director of NanoLSI, who gave explanations about the background to the establishment of the institute and its concept as well as the purpose of holding this symposium. This was followed by the opening remarks by Prof. Takeshi Fukuma, Director of NanoLSI, in which he introduced research projects of the institute and several programs to get involved with. The program consisted of four sessions in which both NanoLSI researchers and the world-renowned invited speakers from institutions of the UK gave a talk. In each session, the participants had lively question-and-answer sessions and discussion with the presenters. This event was a valuable opportunity for the participants to share their work, expand research network, and gain new knowledge and inspiration. In addition, the posters of NanoLSI researchers were exhibited at the same room, so the participants had a chance to look around them during tea breaks and lunch break to learn works of NanoLSI researchers. 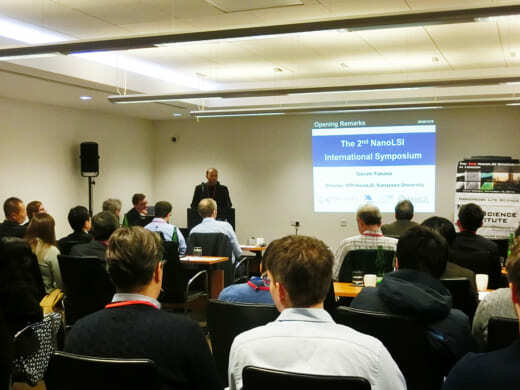 Throughout the symposium, the strengths of NanoLSI’s four research fields (Nanometrology, Life Science, Supramolecular Chemistry, and Computational Science) were introduced and interaction with local researchers was deepened. It ended successfully and could potentially lead to joint research.